Today I sent a letter to Chief of Naval Operations Admiral Jonathan Greenert requesting more information after it was reported that a Russian nuclear-powered attack submarine recently traveled undetected in the Gulf of Mexico. A similar incident occurred earlier in the Obama Administration when two Russian nuclear-powered attack submarines were reported patrolling off the East Coast of the United States. 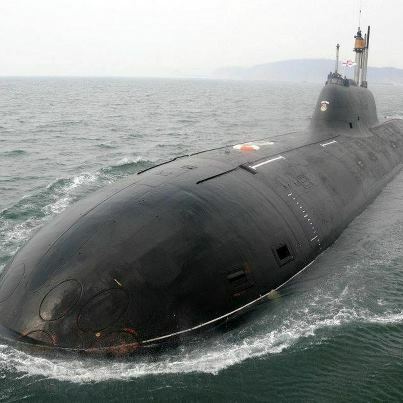 According to press reports, a Russian nuclear-powered attack submarine recently traveled undetected in the Gulf of Mexico on a month-long patrol. This submarine activity reportedly occurred in June and July, simultaneously with incursions by Russian strategic bombers into restricted U.S. airspace. If these reports are accurate, the repercussions are serious. It is my understanding that an Akula-class submarine can be armed with an array of weapons, including torpedoes and long-range cruise missiles, capable of destroying both U.S. nuclear submarines and aircraft carriers. The submarine patrol, taken together with the air incursions, seems to represent a more aggressive and destabilizing Russian military stance that could pose risks to our national security. This is especially troubling given the drastic defense cuts sought by President Obama, which include reductions in funding for antisubmarine defense systems. In light of the gravity of this situation, I request a detailed explanation of the facts surrounding these reports. Thank you for your faithful service to our nation, your dedication to our Armed Forces, and your commitment to ensuring the welfare of our men and women in uniform and their families. We knew about the sub the moment it entered. This isn't the first time and we reciprocate by getting close to the Bear. We have weapons the public isn't aware of that track every movement foreign forces makes. In conflict we can elliminate them in five minutes. The major event upcoming with Iran and Pakistan will involve the use of our new technologies and the Russians are with us. If the Chinese wish to test us~ goodbye. God Bless America!